No, a cask of beer is NOT a keg, and, no, a keg is NOT a cask. 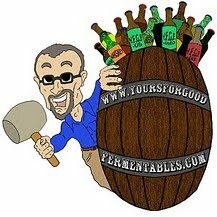 Consider a cask as a brewery's small, portable, tank of fermenting beer, often 10.8 gallons, a size known as a 'firkin.' The ale within —known as cask-conditioned ale or real ale— is fermenting, 'living' beer. When tapped, it's 'zero-hour' fresh. The photo is a close-up of a spile —a porous bamboo peg— sitting in the top shive bung of a firkin of IronMan Pale Ale, 6.4% alcohol-by-volume (abv), brewed by Oliver Breweries, of Baltimore, Maryland. Active yeast (or the cask's contents being shaken or warmed) causes excess carbonation to bubble (fob) beer through the spile. 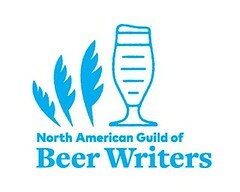 Read more about cask-conditioned ale at Cask Ale USA. Great photo... Glad to hear someone actually clarifying the cask and the keg... I have hear more misuse of these terms lately, as the world begins to embrace micro-brews. Thanks, Jim. And, don't even get me started on the topic. I've been hearing folks in the 'craft beer' business, who really should know better, refer to beer in a keg, or even lesser carbonated beer, as cask-conditioned. YFGF in the press, thanks to Joe Gold!